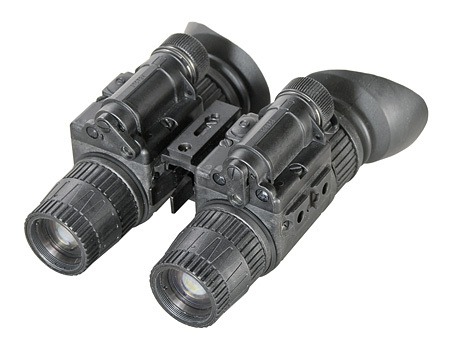 NVM14-2 is a hand-held, head-mounted, helmet-mounted, or a weapon-mounted Night Vision System that enables walking, driving, weapon firing, short-range surveillance, map reading, vehicle maintenance, and administering first aid in both moonlight and starlight. NVM14-2 utilizes the principle of intensification of the residual light which is reflected from the surrounding objects. 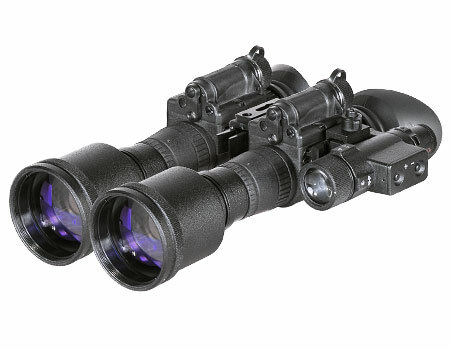 The optical system of the Monocular consists of an objective lens, an Image Intensifier Tube and an eyepiece. - Red - serves as an IR Illuminator Indicator and an Battery Low Indicator at a time. - Green - serves as an Excessive Brightness Indicator. 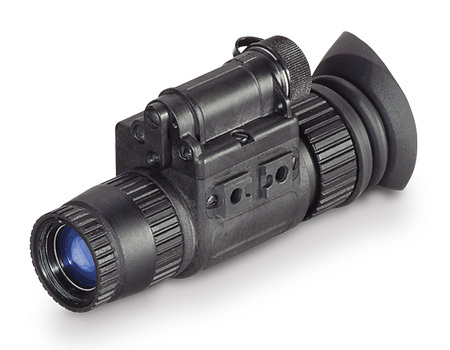 If the bright light remains unchanged for over 10 seconds after the indicator turns on, the Monocular will automatically shut-off.